!! 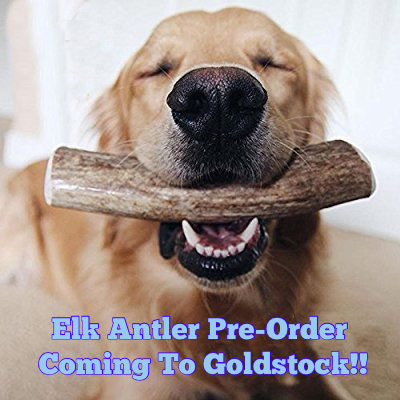 4 SIZES OF ELK ANTLERS AT GOLDSTOCK 2018 !! GRREAT is working with a distributer that handles only fresh, high quality antlers and he's willing to work with Rescue! These antlers are cut fresh to order from naturally shed elk antlers and are not treated with any chemical ever. They will not splinter and there will actually be marrow that will delight your dog! Cost per antler is half of what you'll pay in stores - if you could even find this quality in the stores! The deadline for pre-ordering is August 13, 2018. Thank you for pre-ordering your elk antlers. After you get settled into camp please stop by the GRREAT booth in the activity center to pick up and pay for your order.